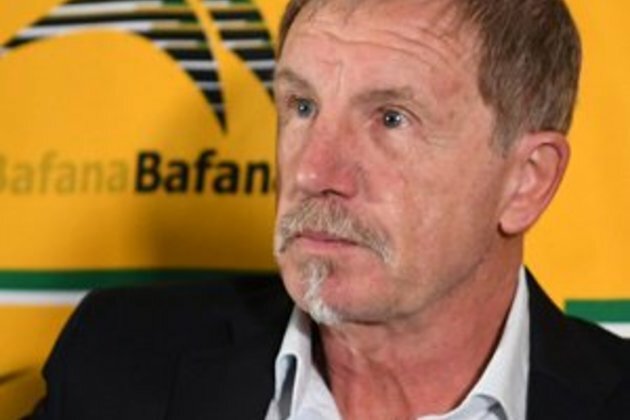 Cape Town - Bafana Bafana coach Stuart Baxter believes the national team can negate Libya if the side can stop them attacking down the flanks and by overloading their defence. Bafana are set to take on the Mediterranean Knights in a much anticipated Group E Africa Cup of Nations encounter in Tunisia on Sunday evening. Kickoff is 19:00 (SA time). South Africa require a point to advance to the AFCON tournament in Egypt whereas the Libyans have to collect all three points to progress at Bafana's expense. Nigeria have already qualified as group winners. Nonetheless, Baxter is optimistic as he says his team have learned lessons from the 0-0 draw last year against the North Africans. He said: "Looking at the game, which I have done many times since then, I wouldn't say they pierced us with their good play more than once. I think, and that was with flank play. "Watching them play well in their other games, their successes were down the flanks. What they did do (against us) was to utilise some of our mistakes when we were getting impatient and stretching ourselves. "So, there's a lesson to be learnt there. I've said, without revealing our strategy, one of the things we'll have to do is negate their flank play, and the other one is that they didn't have two of our strikers against their two centre-backs on that night (in Durban). "I remember we played 4-3-3, and I think our three midfield players sat too deep and didn't get up in support, so they played virtually 4-v-3 [four defenders vs three attackers] in their last third. "And I remember Percy played at nine in the first half, had some runs but became a bit flat so we moved him wide and brought on Bradley Grobler in the second half, but we didn't give him the service. "The strike partnership of Lebo and Percy as our two through the middle, they haven't played against, so I think yes, we will have to be better and definitely be strong mentally. But I think we can do that because we should base that confidence on the fact that these are people who have not been able to score against us, for one, and we've not been beaten. "So, we've got to take that and say, 'We think we're better, we know more about you, so if we execute our game-plan we have a very good chance (of winning).'"